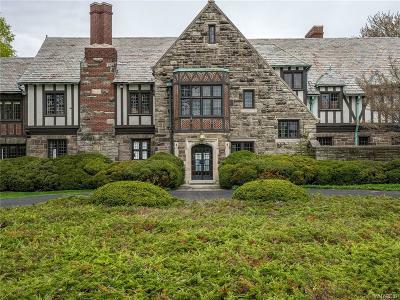 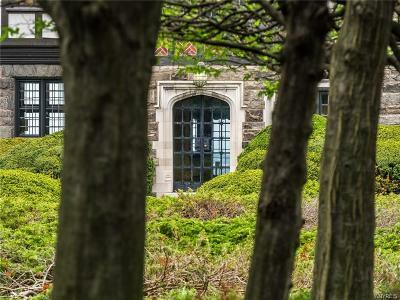 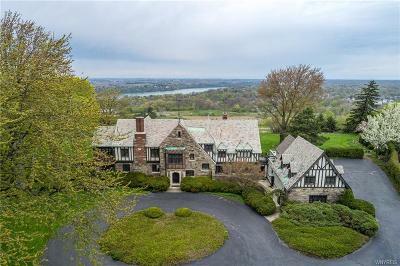 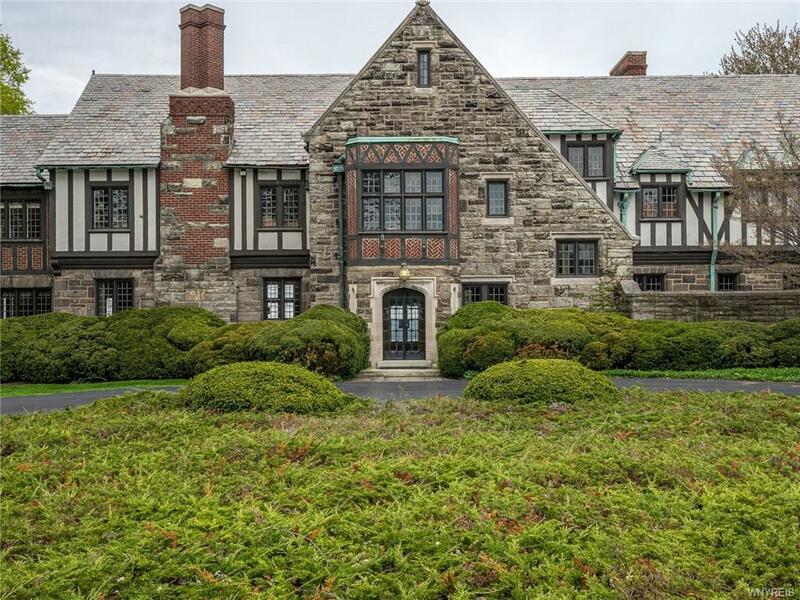 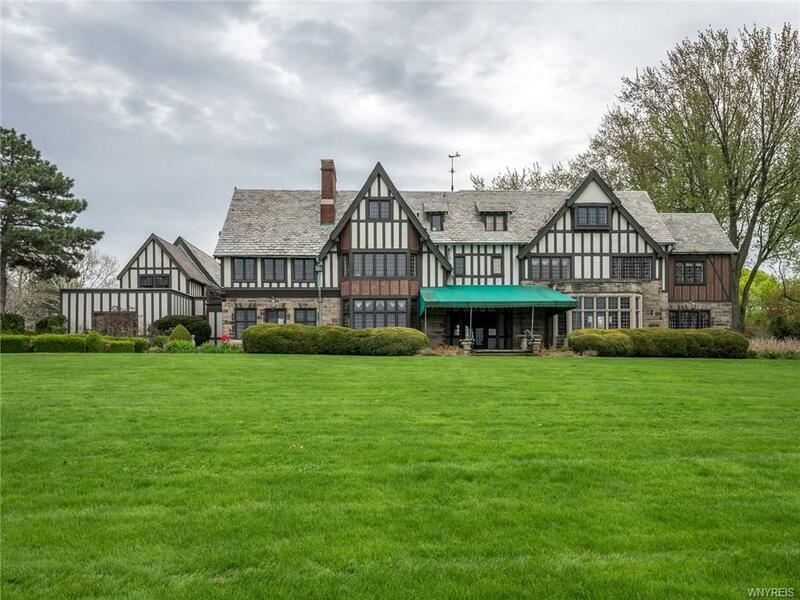 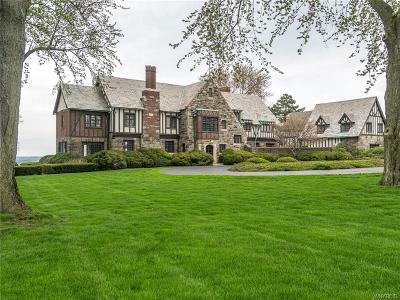 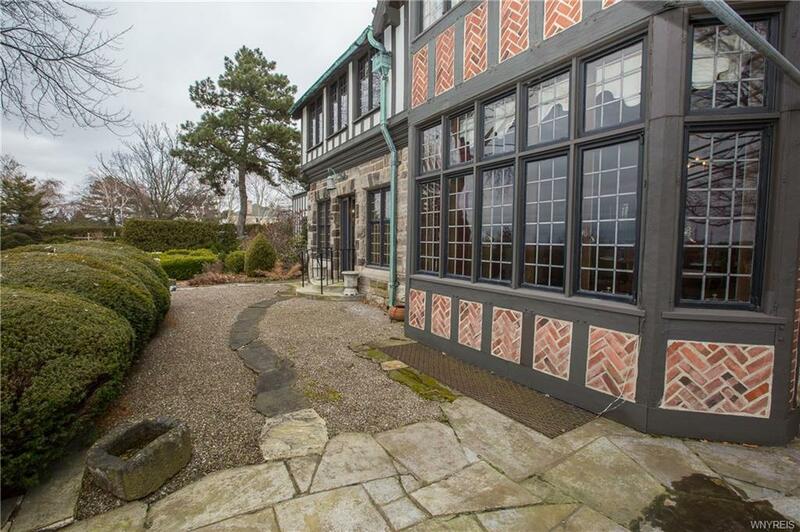 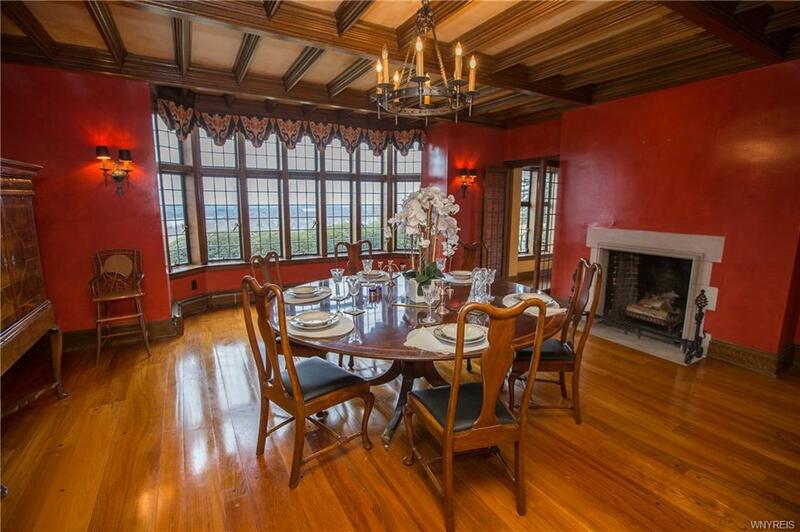 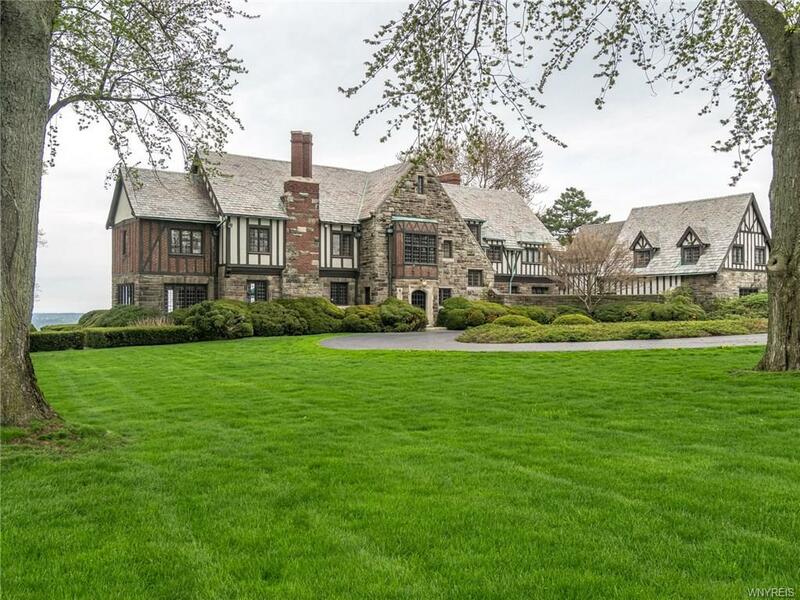 Magnificent Tudor estate offers tremendous interior and exterior space and sweeping views of the Niagara River and beyond. 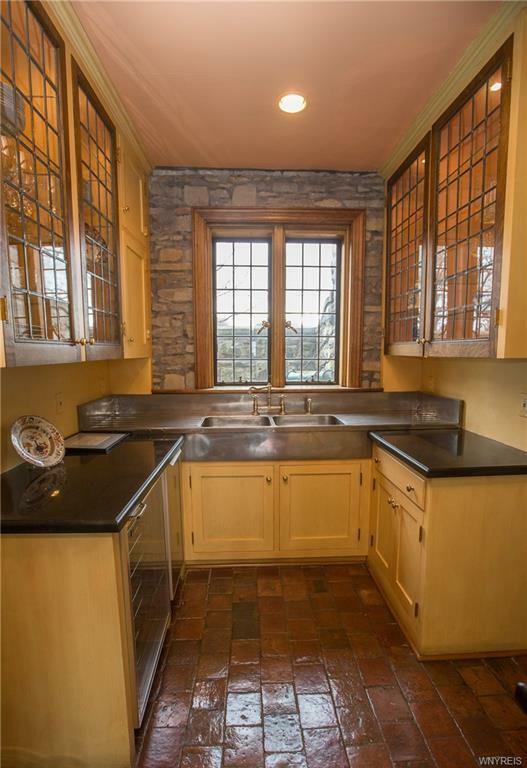 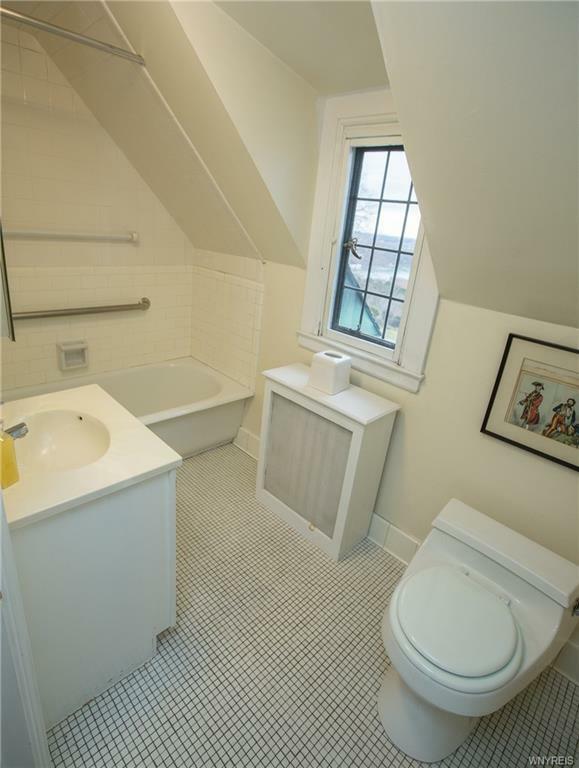 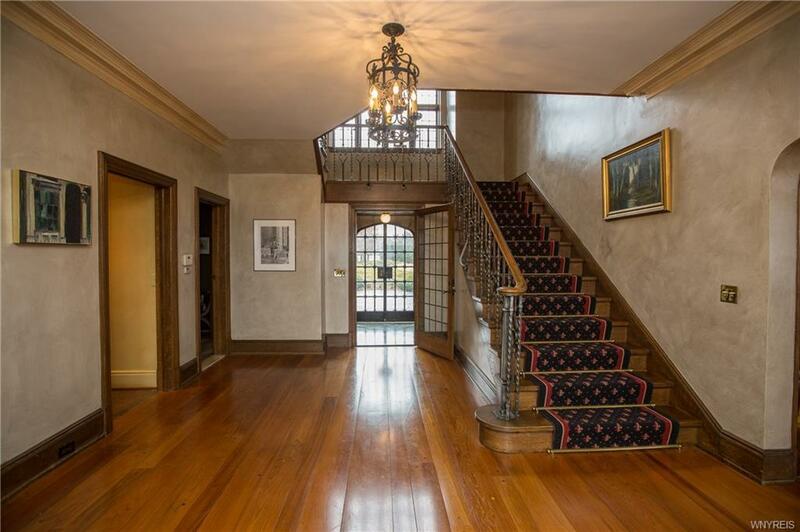 Details include beautiful hardwood floors, leaded glass windows, and natural wood. 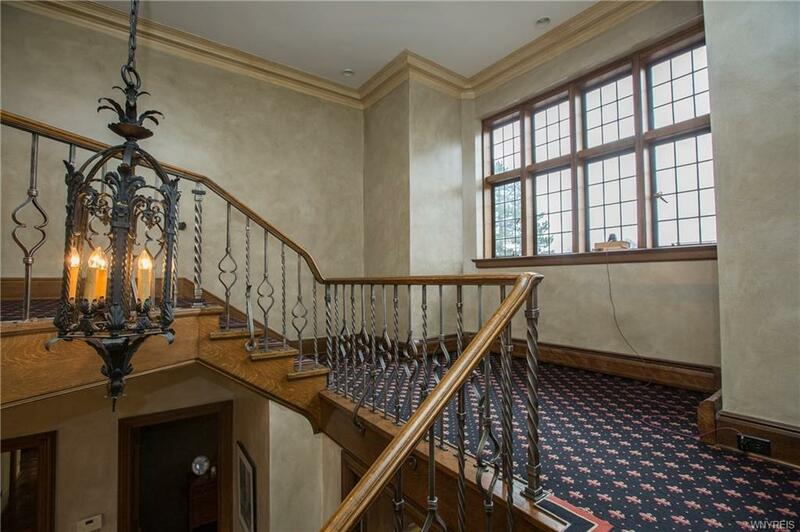 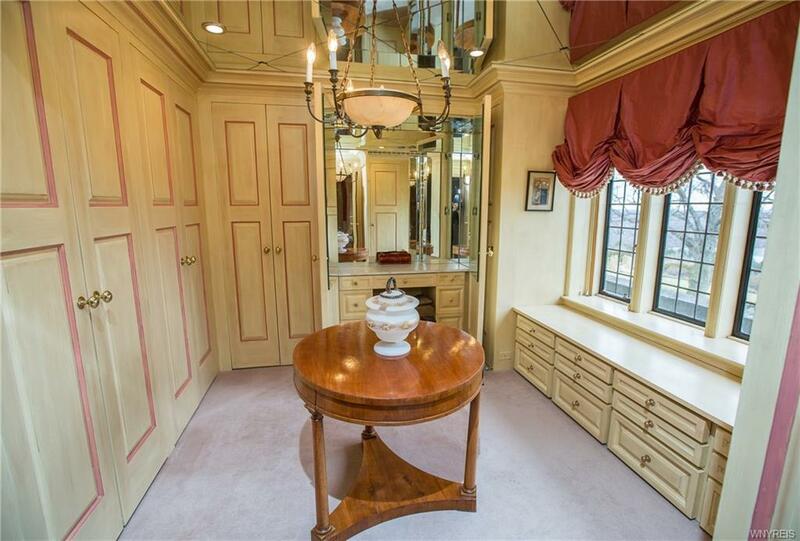 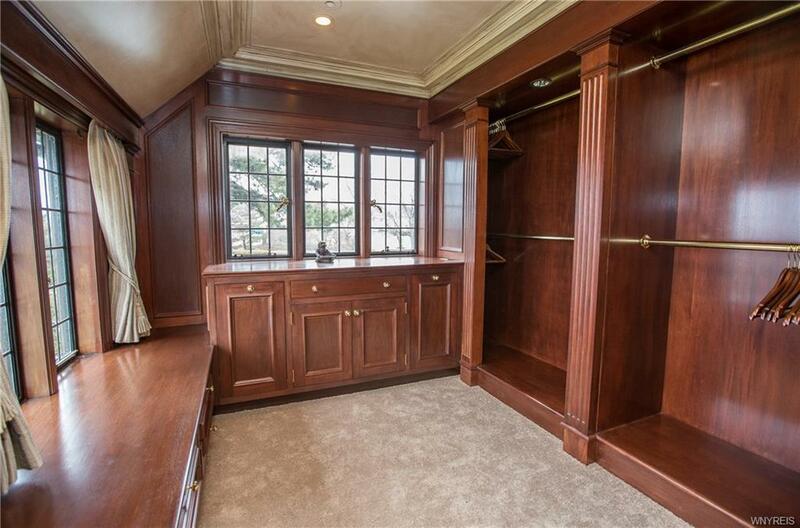 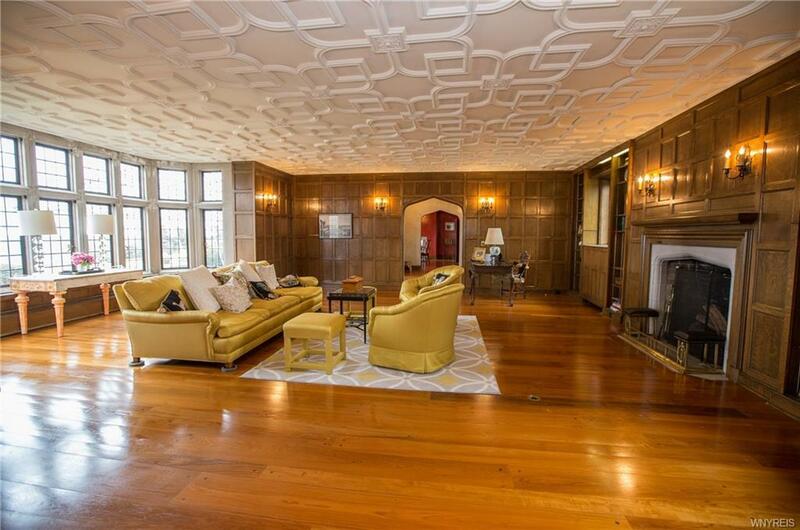 Grand, 2-story foyer leads to elegant wood-paneled living room w/ fireplace. 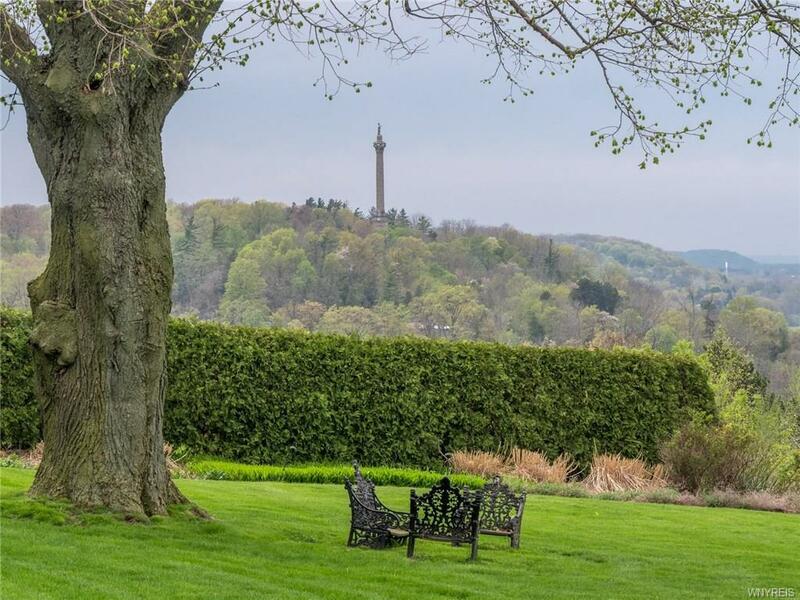 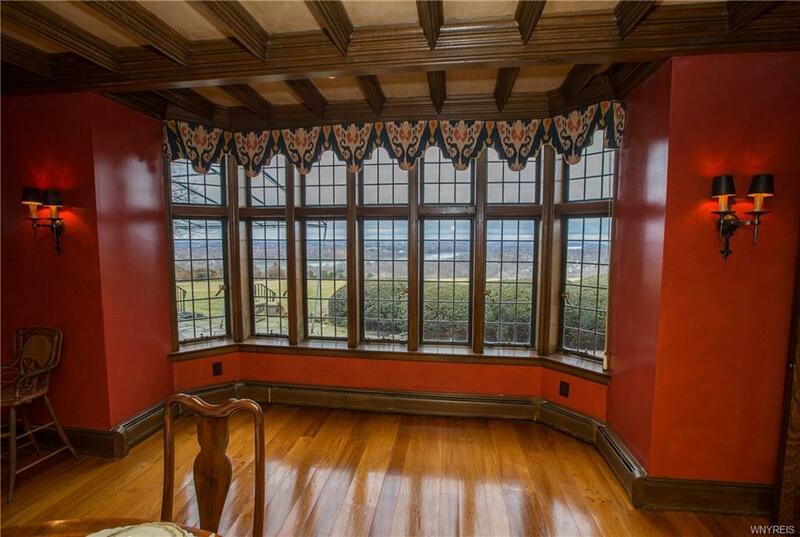 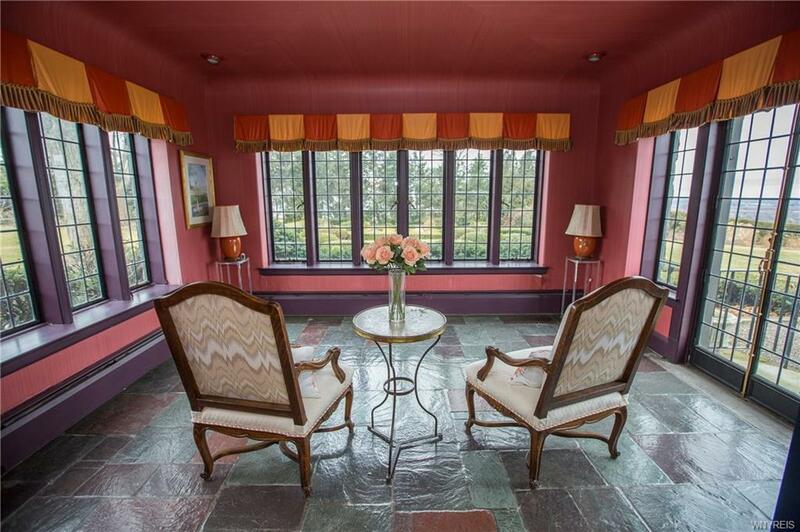 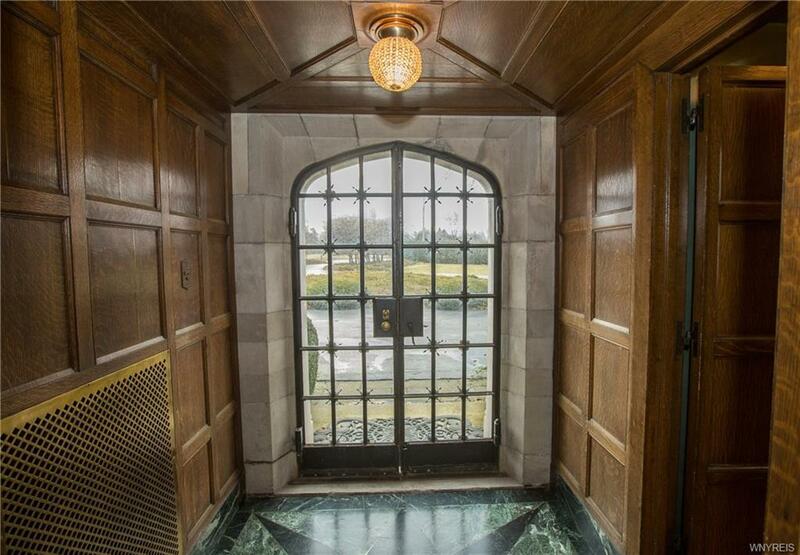 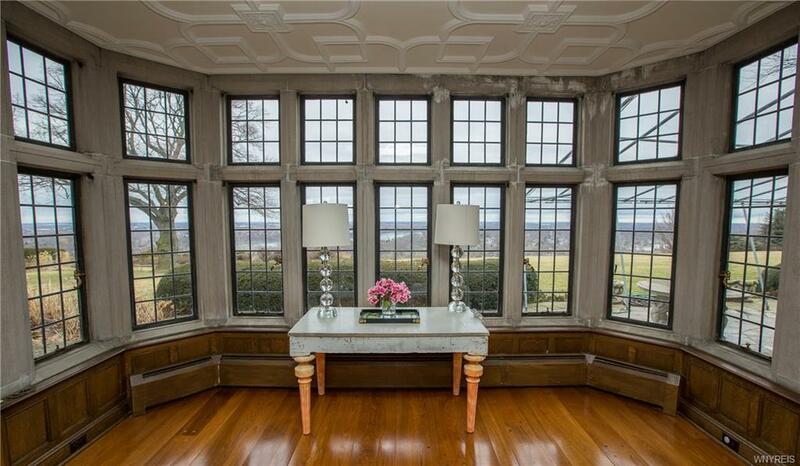 Sun room w/ views of English gardens and the Niagara River. 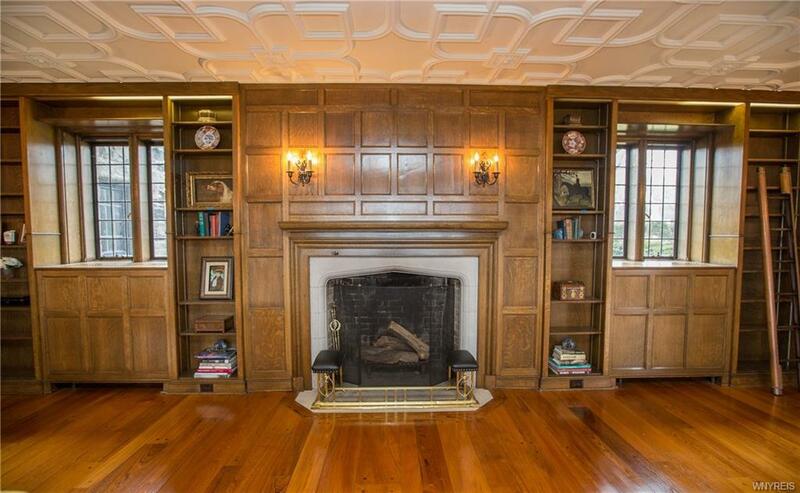 Formal dining room has coffered ceiling and fireplace. 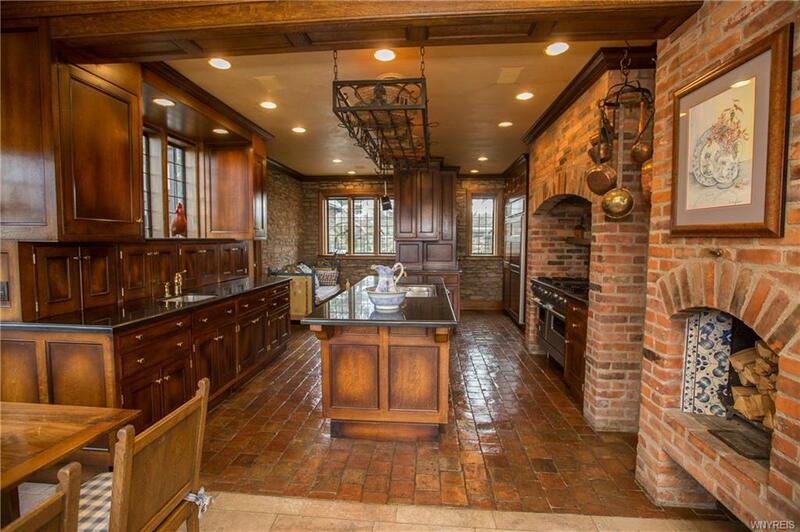 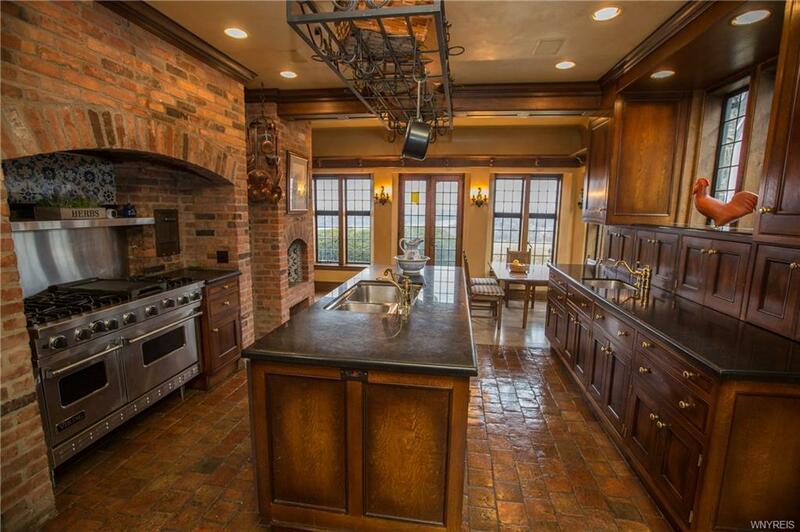 Charming gourmet, country kitchen equipped for large-scale entertaining yet cozy for every day life. 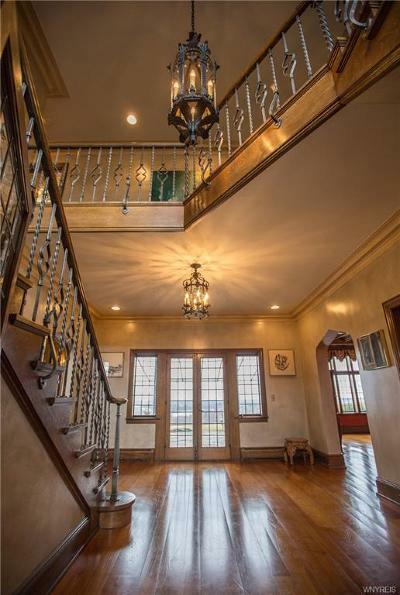 2nd flr. 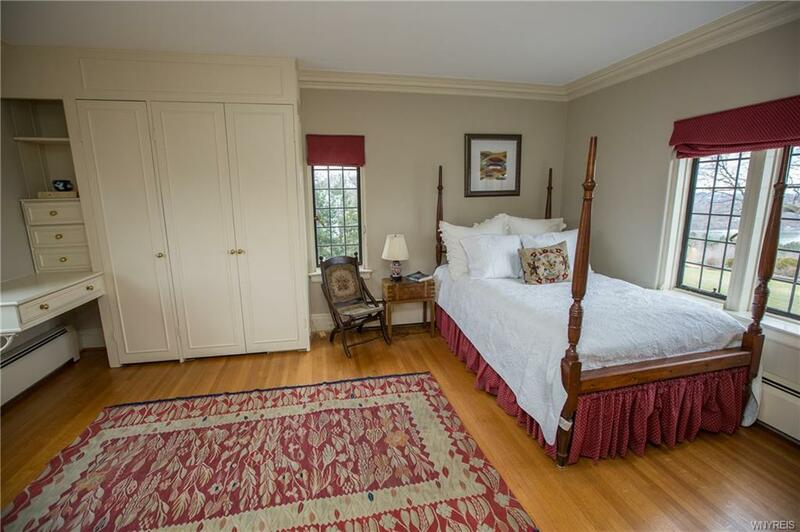 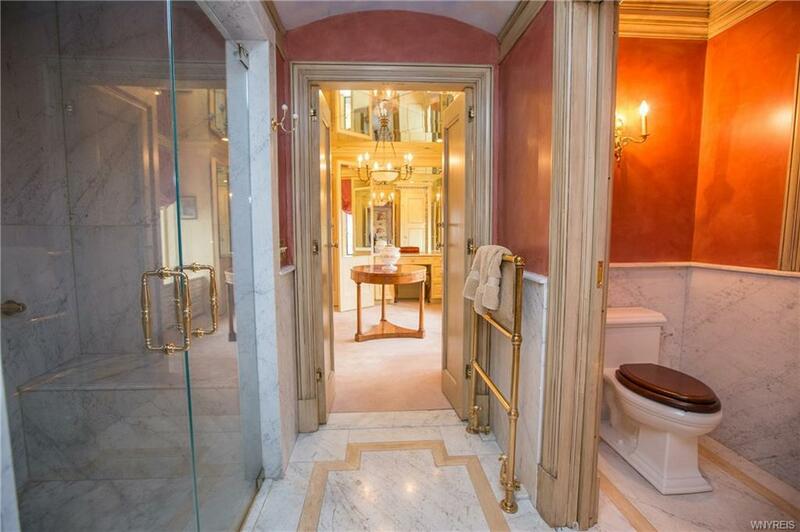 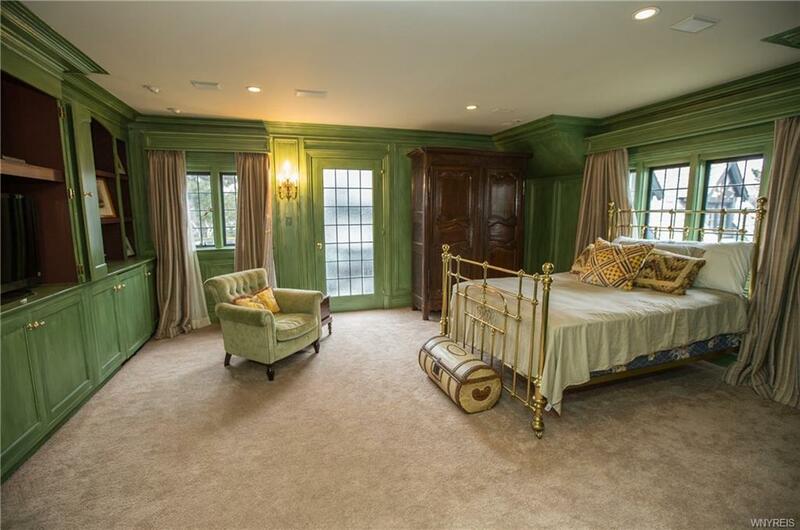 has 3 generous size bedrooms, each w/ bathroom, 2 dressing rooms, and additional room. 3rd flr. 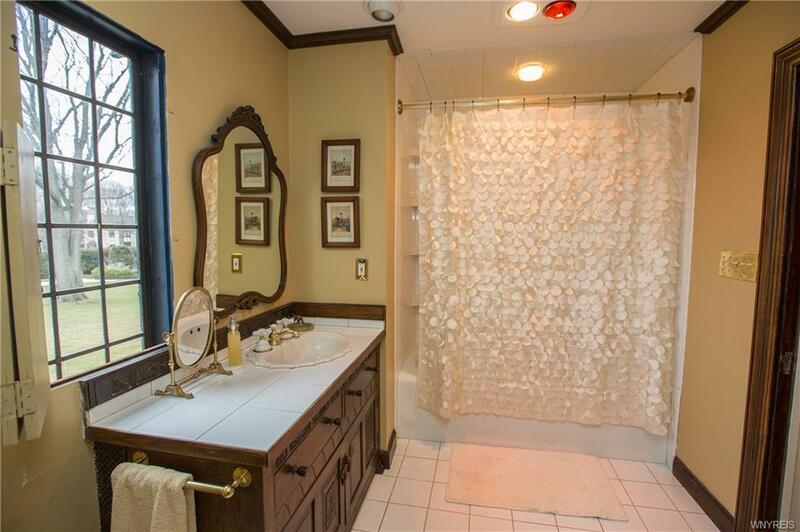 has 3 bedrooms and a full bath. 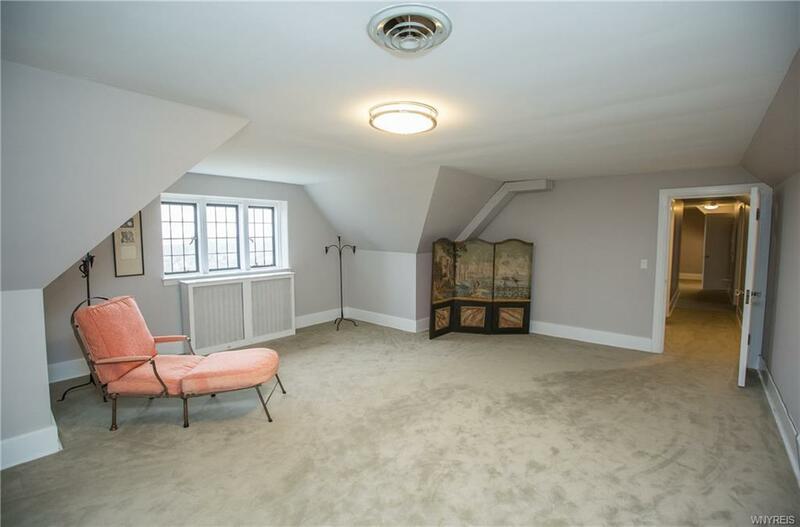 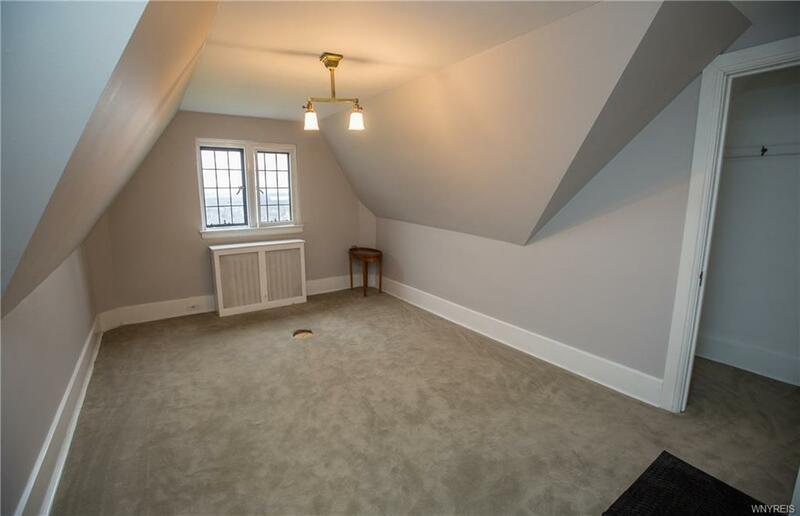 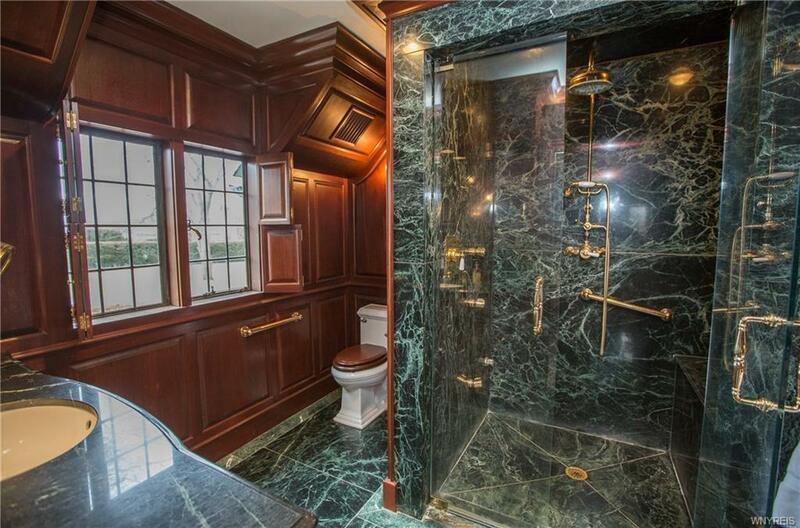 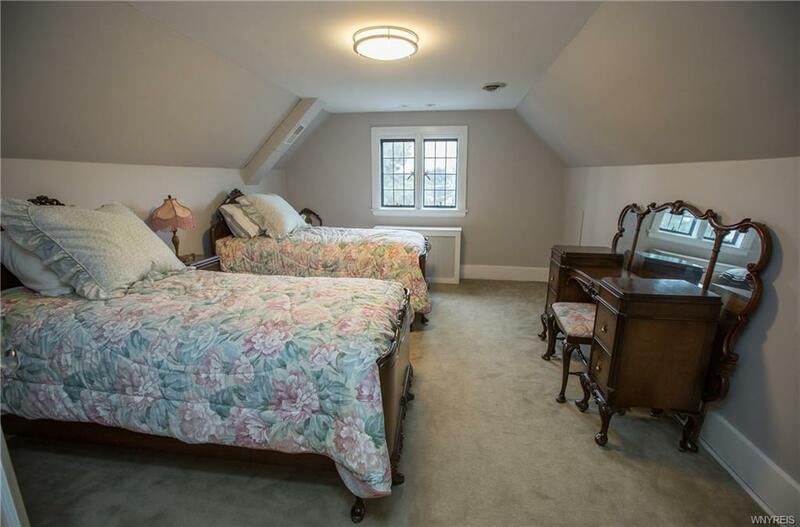 Basement has a billiards room, a full bathroom, and 2nd kitchen. 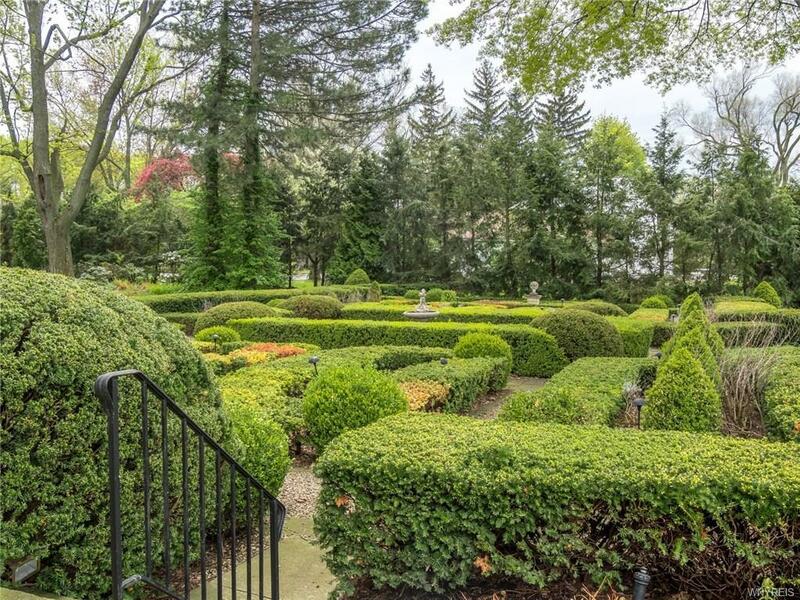 Back patio with awning and a rolling lawn. 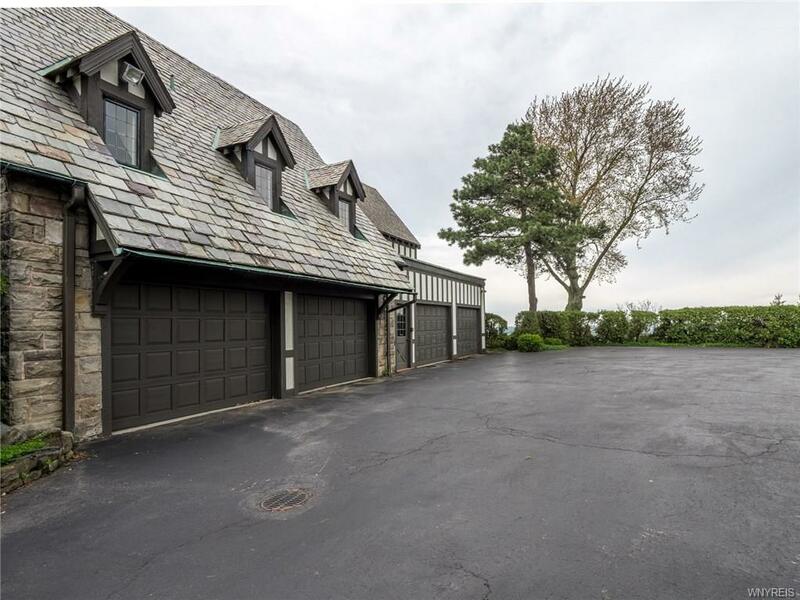 4-car attached garage with additional space above it. 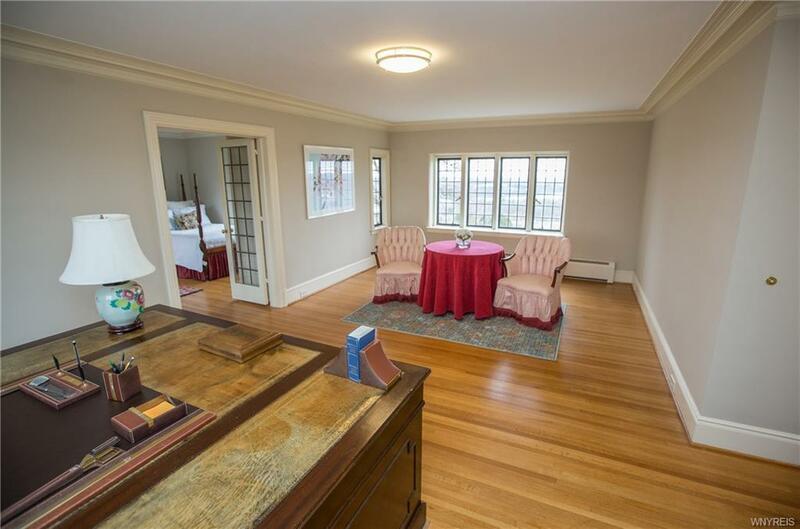 Directions To Property: Lewiston Road To Mountain View Drive. 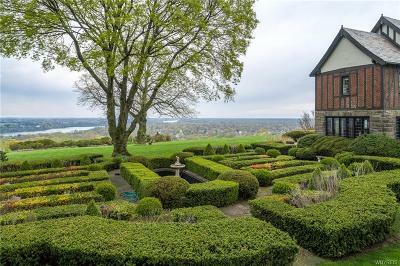 Across From The Niagara Falls Country Club.